The World Travel and Tourism Council projects that Thailand will have the tenth fastest growing tourism sector over the coming decade with an average annual growth rate of 6.7 percent. According to the Thai government and Thai Tourism Promotion Association, the country's income from visitors has already grown 8% this year, compared to average annual growth of 3% to 5% per year. The government is optimistic of the upward trajectory in visitors, aiming to achieve 10% growth in tourism income next year - rolling out various promotion packages by drawing several agencies together to double-down on the recent figures, promoting the country as a tourist hotspot. Thailand has something for everyone. Literally. 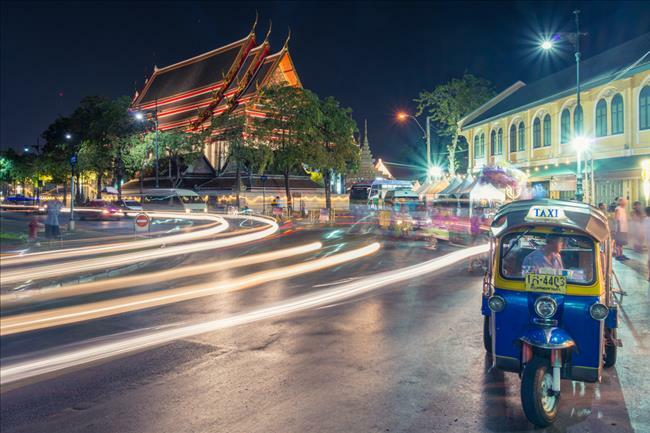 The country (particularly Bangkok) presents to visitors (apart from the inviting culture mentioned above) an unrivalled mix of heritage together with a bustling nightlife as well as a food and shopping paradise. The destination caters to visitors on every budget, from its floating markets to CentralWorld and Gaysorn Plaza’s luxury shopping outlets. While the capital still reigns supreme among travellers, other areas such as Koh Samui, Phuket and Hua Hin have had their fair share of visitors looking for sandy beaches, crystal clear waters and a different tempo to their vacation. The fact that the country depends largely on tourism figures to bolster its economy has paved the way for several advancements in the pipeline. At the end of 2016, Thailand’s cabinet approved an impressive USD 25.2 Billion spend on infrastructure, which will be appropriated towards rail, roads, air transport and ports. One remarkable development in the works is an extensive railway network that will link the country with neighbouring nations, boosting logistics considerably. All this highlights the government’s ongoing commitment to the tourism sector, fully aware that rising figures over the next decade will require stronger infrastructure in place. This support, together with its popularity among travellers, will ensure that Thailand maintains its status as a more than viable tourist hub, giving its neighbours a run for their money.